← Sportsthoughts (105) – World Cup predictions! Sandown Park yesterday. Beautiful weather, not too many people, and a couple of winners, including this one: Chain of Events. OK, not really London, but on the edge. Esher, to be precise. 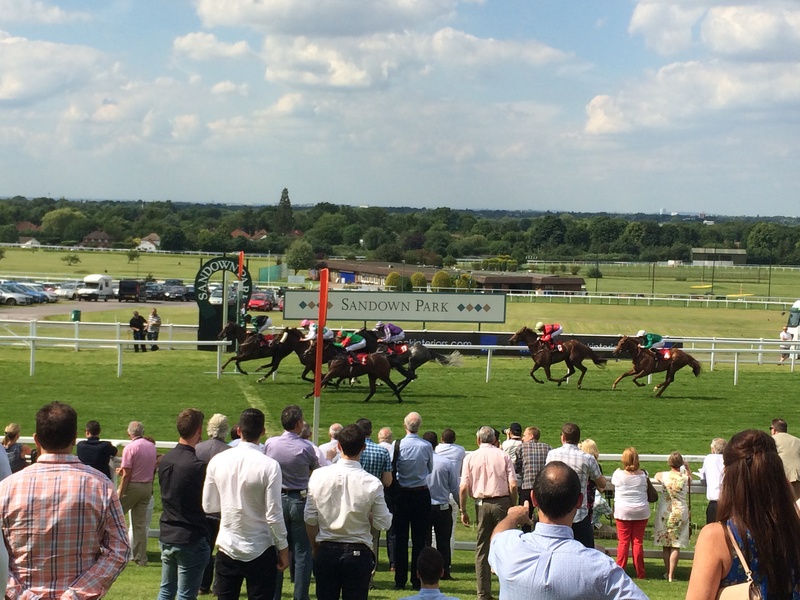 This entry was posted in Photos - lovelondonscenes and tagged Chain of Events, Horses, London, Photography, photos, Sandown Park, Sandown races. Bookmark the permalink. Great picture. Too bad it was not a photo finish. Good for me that it wasn’t! Could see my horse was winning, so followed it to finishing line with my iPhone for the picture.